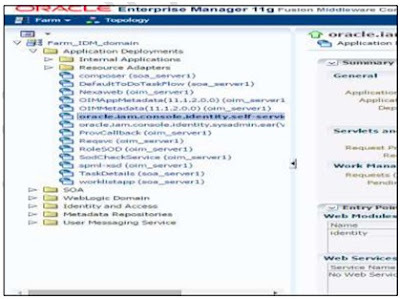 In OIM 11gR2 customizing the UI is done through sandbox. The changes we make to OIM are stored in a sandbox and then published to MDS. After publishing the sandbox if we came to know that the changes we have made is not correct, we can revert that sandbox and bring the OIM to same state as before. But we cannot perform this action using OIM GUI. However, you can revert back to the state before publishing the sandbox changes through EM console by following the below steps. 1) Open the em console using "http://<host_name>:<port_no>/em" and provide the username and password as shown in figure below. 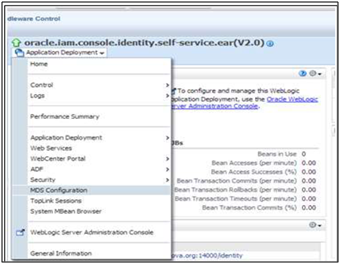 2) Navigate to "Application Deployment --> Resource Adapters --> oracle.iam.ui.console.self-service" as shown in figure below. 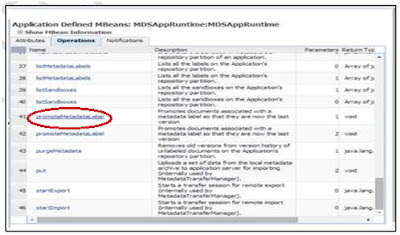 3) Click Application Development from the top and select MDS Configurations as shown in figure below. 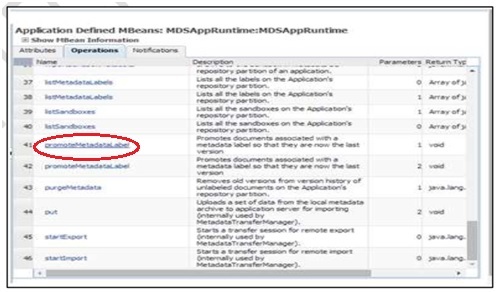 4) Scroll down till end and from Advanced Configuration select "Runtime MBean Browser" as shown in figure below. 5) Click on "operation" tab and select "listMetadataLabels" (parameter “1”)operation as shown in figure below. 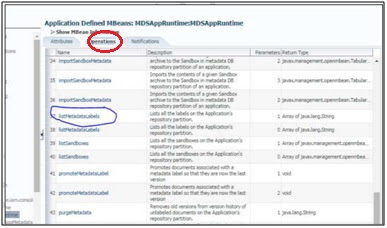 6) Click Invoke to display a list of all published sandboxes as shown in figure below. 7) Select the sandbox you want to revert and copy the complete name of the element and click Return as shown in figure below. 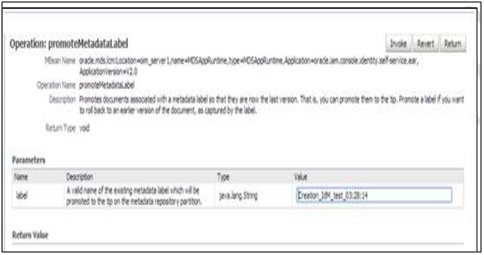 8) Select the "promoteMetadataLabel" operation as shown in figure below. 9) Enter the label name you copied and click Invoke as shown in figure below. The invoke button will revert the sandbox to your desired state. In this way we have reverted the sandbox.